Today we bring you the newest instalment of our Comic Staff Picks on the Archonia Blog. In our Spooky Scary Comic Staff Picks we will pick 4 essential horror comic series we think should be on your radar for this scary time of the year. Those picks might be fresh out the week we post, they might be lesser known classics you can get right now in our store at Archonia.com, but either way, this is what you should not miss. By the way… the first orders over the halloween weekend get a randomly picked mini comic from this here selection. The normal sized comics above the mini comics can be ordered for a super mini price as well. So… if you still need a cool idea for a great horror read… read on! Let’s go… spooky, scary style! Let Joe Hill (Stephen King’s son and horror author extraordinaire) and Gabriel Rodriguez take you on a horror journey like you have never seen before. 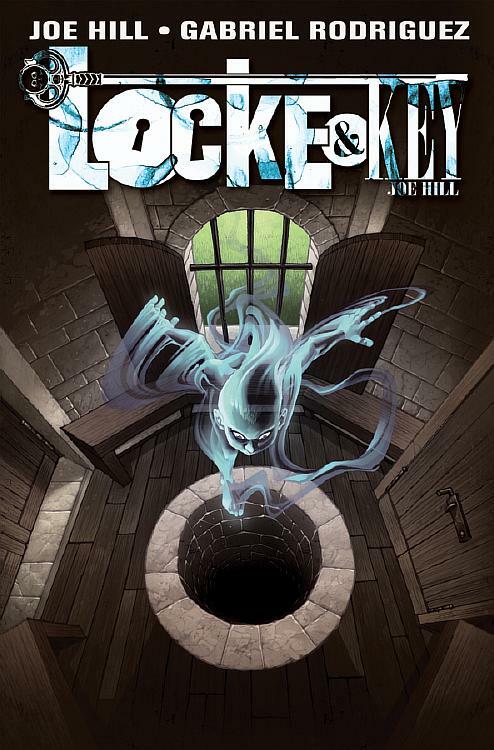 Locke & Key is the amazing horror story of the Locke family and their family home called Keyhouse. After a tragedy has struck the young family, the Lockes relocate to Lovecraft, Maine and move into their old family home to get away from the bad memories and start fresh. While their mother has to fight depression and anxiety attacks, the three Locke kids each deal with the tragedy differently. When the youngest son, Bode, finds a few weird keys in the house , he soon discovers they unlock mystical doors that have unique powers and effects on the children. The mystery of Keyhouse gets explored, while an old evil creature stirs in the wellhouse out back, trying to get back into our world and tear the family apart once again… although this time figuratively AND (literaly) literally. If you are a horror fan, this book is a must. One of the best horror stories in any medium, which is soon going to be adapted into a major motion picture soon! So… be one of the cool kids and know the story before then. Hellblazer is a book that has bark and bite, that is willing to be edgy and uncomfortable, to push its readers into very dark territory. It mixes supernatural and real life horror, contemporary gothic with noire, surrealism and occult detective fiction elements to get its points across. 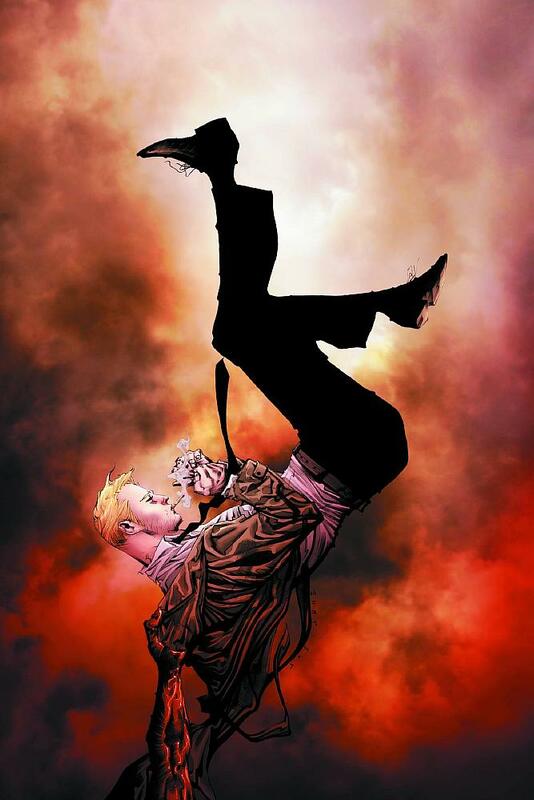 The story usually follows John Constantine through his demonic exploits to “take the piss” from heaven and hell from the late 80s up until 2013. The character ages in real time, which is a rare thing in comics, and only demon blood in his veins keeps him from showing his true age. He tackles everyone from the devil himself to vampires, neo nazis, serial killers, the ghost of Sid Vicious and even the Royals themselves, but smaller hauntings and excorsims aren’t below him either. The book is also influenced by a lot of social commentary and therefore one of the most intelligent reads you could have in a comic, if you were willing to look behind the methaphors of demons and monsters and see the real life reflections they stood for a lot of the time, like the Thatcher regime of the 80′s, or the War on Terror. 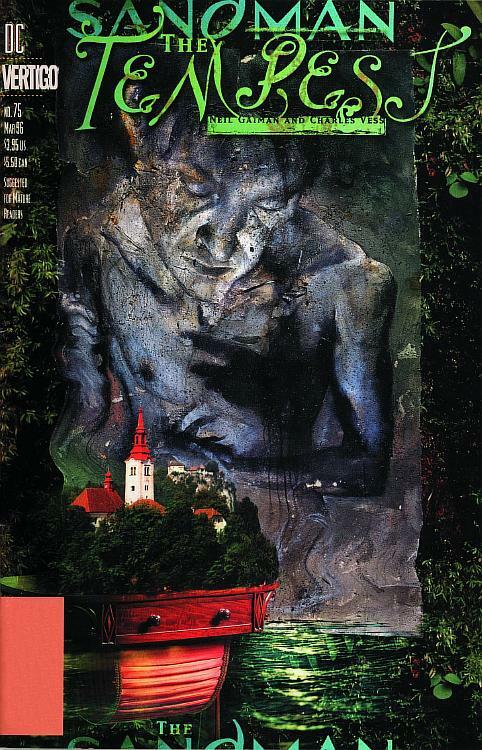 So, yeah… not one of the best horror comics, but one of the best reads of any genre and/or medium. Hellboy is the greatest creation of comic artist extraordinaire Mike Mignola. Created as a very special kind of pulpy demon hunter. Found as a baby after an occult Nazi experiment in World War II by allied forces, Hellboy grew up as part of the BPRD (which has its own series, which is also very worth checking out!) and started investigating supernatural and occult occurrences for the US government. The great thing about this series, next to Mignola’s amazing, drenched in shadows and deep blacks art style is the fact that most of the stories are actually based on actual European folklore. Spooky stories which are all based in actual legend, just with a giant demonic demon hunter thrown in to beat the crap out of whatever goes bump in the night at the end. The stories can seem somewhat simple at first, but weave a tightly interwoven web later on, even cross over in some instances with the BPRD series and the rest of the Hellboy universe (it is still perfectly fine to read on its own, so don’t worry). It is also different than the movies, which were perfectly fine on their own, but comic Hellboy is more of a Clint Eastwood type character than the teenaged demon from the films and the overall stories are much more horror themed and scary. 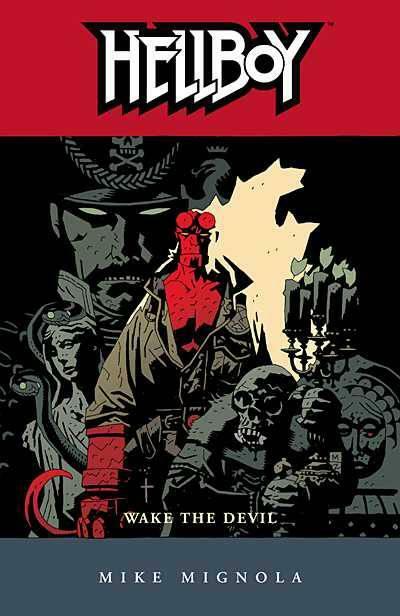 Truly a must read, especially when you think about that this is an indie series which has been going strong since the early 90s and never had any dips in quality over all those years, since Mignola never left the book. Writer Scott Snyder has become a comics superstar because of his long run on Batman. But what he did before doing that… what even influences his Batman book a lot… is his love for writing horror. You can currently see that clearly in his Image book Wytches, or in his Vertigo book American Vampire! 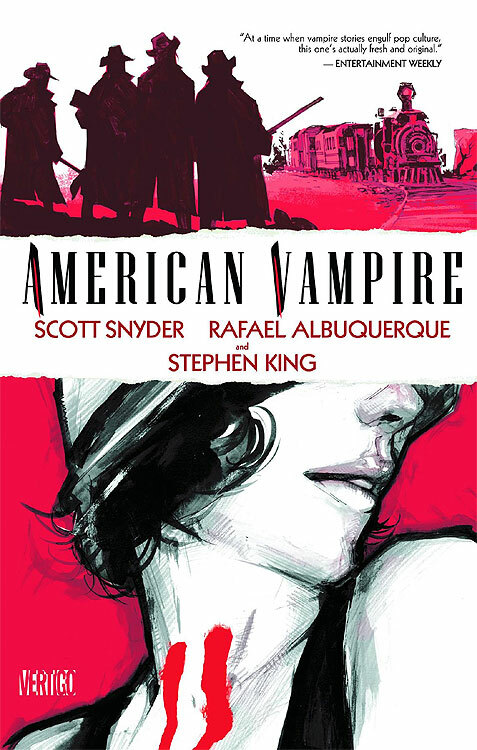 American Vampire is a book about the first American vampire, Skinner Sweet. The first of a new breed of vampires that don’t mind the sunlight, born in the wild west, Skinner is a monster in every sense of the word. He already was a mass murderer and gunslinger before he was bitten and turned, so you can imagine what kind of a monster he turns into. The books follows him and a lot of his victims throughout the ages. It starts in the wild west, but slowly makes its way towards out current time, which is an amazing idea for a book about a non ageing monster. All this plus wonderful art by the amazingly talented Raphael Albuquerque, which gives always exactly the right feel for the time period and brings us some of the most horrific and scary looking vampires ever, makes for an amazing horror comic! Let’s end this selection with probably the single biggest horror/fantasy themed comic book of all time: Sandman. Reinvented by Neil Gaiman, the old DC concept of the superhero Sandman got a fresh new spin, that had actually nothing to do with the old original Sandman. Gaiman’s Sandman is a god like entity, one of the endless, who are even above heaven or hell, metaphysical personifications of Dream, Death, Destiny, Destruction, Desire, Despair, Delirium and reign over aspects of all live. Sandman, also called Morpheus, is Dream, the lord of the dreaming. The story begins with Dream being imprisoned by a mad scientist for nearly 70 years. When he gets released in 1988. Being severely weakened after that he turns to John Constantine (look above for more on him in Hellblazer) and other DC Comics guest stars to help him re attain his power to rule over the dreaming once more. But that is only the start of the story, which delves into horror and fantasy. Moodily drawn by an elite list of artists like Sam Keith, Mike Dringenberg and more, Sandman is maybe the most critically acclaimed comic book of all time and a definite must read for everyone who calls him/herself a geek. Neil Gaiman, now more well know for his novels like Neverwhere, American Gods and Coraline, shows supreme handling of prose even this early in his career. His writing has an almost magical flavour that is unique in all of literature. This book will make you fear your own shadow, make you laugh, make you cry. Seriously… what are you waiting for?